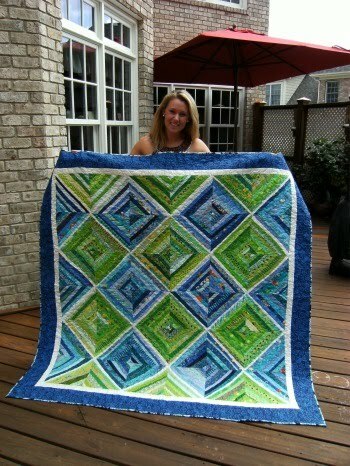 A beautiful quilt for a beautiful birthday girl. So you know the saying "When Life gives you scraps, make quilts"? Right? Out of a terrible tragedy, emerges this bright lively string quilt. Without any details, my friend's daughter needed to come home from college for the weekend to spend time with her family. She needed comfort and needed something to do quick to feed her soul and help with some healing. So I taught them how to make a string quilt. This all happened last year. Well now mother and daughter are now hooked on quilting. Yipee!! That's a good thing. 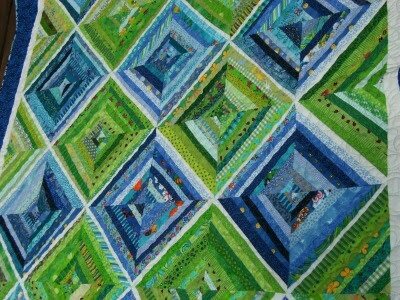 They finished the quilt and I sent it off the a long armer and I bound it for them. We both presented it to the birthday girl yesterday, September 6th for her 21st birthday. mom and daughter are doing wonderful! It is a beauty all right! That is gorgeous! 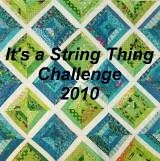 I think it's my favorite string quilt ever. What a beautiful quilt, I cant wait to get started on one myself - I hope my scraps look as good as yours. A very beautiful quilt and my favorite colors this year.